Week in a Tweet winner! 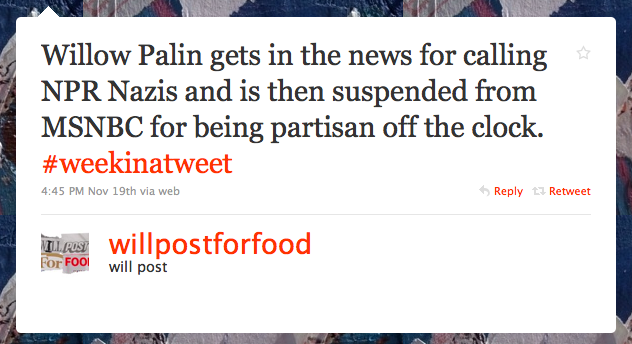 Follow willpostforfood on Twitter (we are). We'll announce the winner every Monday -- you can enter any time by tagging your tweet #weekinatweet.